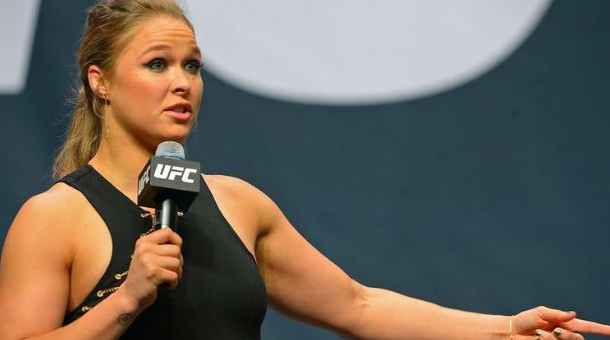 Ronda Rousey is back, but it’s not what you think. Rousey and others have shown up alongside Standing Rock Water protesters in South Dakota where the Sioux tribe have set up to in order to protect and protest the planned building of the $3.8 billion Dakota Access oil pipeline. After a tense standoff that included armed police spraying rubber bullets and water cannons at civilian protesters, the United States Army Corps of Engineers denied a permit for the pipeline to cross the river until environmental until more research was completed. Newly-elected President Donald Trump signed an executive order overturning the decision and as a result, hundreds of protesters are flocking back to the site to set up on the front line, Rousey included.